Approx. 16.5 cm height bag. Each nut is approx. 2cm diameter. Eco-friendly from a sustainable resource! Try them for soap, shampoo, dish washing, veggie washing and of course they make a great laundry detergent alternative. Includes instructions and reusable laundry sack. No dyes, perfumes or additives. Biodegradable, natural, reusable and hypoallergenic. 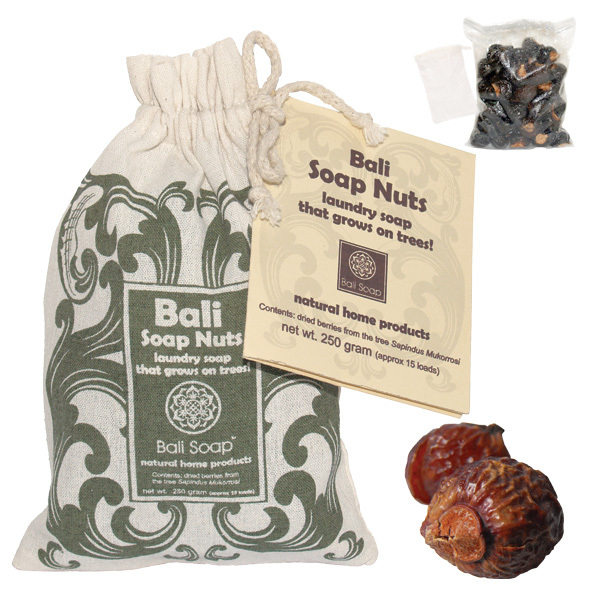 Soap nuts are actually fruits that grow on trees. The saponins in their shells enable them to be used as detergents and foaming agents. 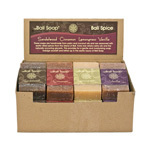 They are good for people with allergies and skin conditions and naturally anti-fungal and anti-microbial. Four or five berries placed in a pouch will do3 to 7 loads of laundry. ThatÕs not all they can be used for... a quick online search will turn up all sorts of recipes.